So you're going to have knee surgery, what do you need to know? The knee is a fairly common source of pain and other problems with around 20% of adults complaining of knee pain or other symptoms such as locking or giving way, The more common issues and problems which affect the knee are discussed in this blog post here. Knee pain is also reasonably common in children and is discussed in this blog post here. Most knee problems in both adults and children normally respond well to conservative or non surgical management, of which physiotherapy would normally make up the bulk of. However this is unfortunately not always the case, in which case your physio or GP will have suggested that you should get an orthopaedic opinion. 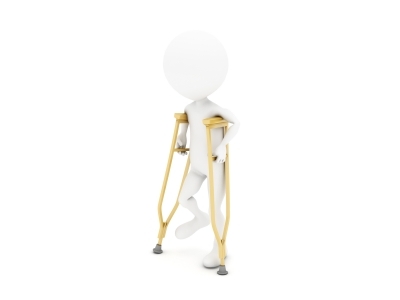 Assuming that you have seen orthopaedics, been assessed and its been recommended that you should have surgery, you are probably wondering what is going to happen now. Rest assured that our physiotherapists in Eskbank near Edinburgh are highly experienced in managing post operative rehabilitation. Knee joint replacement either Total Knee Replacement or TKR, or a Partial Knee Replacement or PKR. Meniscal surgery either Debridement or a Meniscus repair. Ligament reconstruction, usually Anterior Cruciate Ligament or ACL. Knee replacement or knee arthroplasty is common with over 7000 knee replacements being carried out in Scotland in the period from 2012 to 2013 according to the Scottish Arthroplasty Project or SAP, according to the NHS website over 70,000 knee replacements are carried out each year in England and Wales. The reasons for having a knee replacement are varied however by far the most common reason according to the SAP is Osteoarthritis with over 95% of cases of knee replacements in 2012-2013 being due to OA. Other reasons would be less common forms of arthritis such as Rheumatoid arthritis or RA or following joint infection or injury. For more about OA/RA and other forms of arthritis please see this. Your knee is so painful, swollen and/or stiff that your mobility is reduced. Your knee pain affects your ability to sleep and your quality of life generally. Your ability to carryout normal everyday tasks such as go shopping or carryout household chores. You are unable to work or engage in normal social activities. Meniscal surgery is often referred to “keyhole surgery” as it is performed arthroscopically. Arthroscopic surgery is where the surgeon will make two small cuts in the knee, a small TV camera is inserted through one so that the surgeon can see what they are doing. The other cut is used to allow the surgeon access with special instruments. Meniscus or cartilage tears are discussed here. There are two main surgical options when addressing meniscus tears, the surgeon can either repair the meniscus or they can debride it. Your surgeon will often not know which approach they will use until they can actually see the tear i.e.until the surgery. Generally the approach will be to debride the tear, however if the tear is relatively small and relatively recent, the patient is relatively young(in their 20’s) then it may be an option to repair the tear. Generally meniscal surgery will be considered if the meniscal tear results in the knee being mechanically locked and the patient is unable to straighten or bend the knee or if the patient has failed to respond to physiotherapy or other conservative treatment. There are four main ligaments that stabilise the knee, which are discussed here. Whilst potentially all four ligaments can be torn or ruptured, the one that is commonly torn and then reconstructed is the ACL or anterior cruciate ligament. Therefore I concentrate on the ACL here. Some people with ACL tears are able to manage without surgery. However if you place higher than average functional demands on your knee either due to sporting activities or workplace activities, then reconstruction will probably be necessary to return successfully to these activities. Common causes for ACL rupture or tear are being involved in a collision such as a rugby or football tackle, stopping suddenly and twisting your knee whilst changing direction suddenly or landing incorrectly. It is not possible to repair the ACL tear, therefore a graft has to be used to reconstruct the ligament. Usually the orthopaedic surgeons locally who would carry out ACL reconstructions will use a graft from one of the hamstring tendons. However sometimes the surgeon will use the middle of the quadriceps tendon and in the past other sources for the graft where used. Rehabilitation following knee surgery is extremely important to ensure that your recovery is as quick as possible, as complete as possible and that you are able to return to the level of function that you want to attain. No matter which procedure you have done, your physio will aim to restore range of motion, strength, power, control and function. The only differences in the rehabilitation between the different procedures is the speed of progression expected and how far the rehab process will need to be progressed. For example a footballer who has had a ACL reconstruction will need to develop significantly more strength, power and control; than a 85 year old person who has had a knee replacement and wants to be able to walk to the local shop and play golf. Therefore whatever procedure that has been carried out, your physiotherapist would first want to find out precisely what kind of procedure you have had done and whether there has been any deviation from the normal procedure. He or she would then refer to the NHS Lothian Post Op guidelines which we have access to. This way your physio knows exactly what you should be doing and if there is anything that your surgeon would want us to avoid at this point in time. Your clinician would then assess your knee; checking the wound is clear of infection or discharge, the range of motion available, muscle bulk and/or power, your gait pattern etc. They would then start your rehab programme at a level which is appropriate for you and your goals and expectations. Your programme would therefore be a combination of strengthening, stretching and balance exercises. As you progress your physio would then discuss when to stop using crutches and progress your exercise programme. Your physio would then reintroduce functional activities when it is safe and appropriate to do so. For example in the case of someone recovering from a knee replacement we would discuss gradually returning to walking or any other activities such as golf or swimming. In the case of a footballer returning to football following ACL reconstruction or Meniscal surgery we would introduce straight line running first, then add twisting and turning, then add sport specific drills and finally return to sporting activity when you were ready. We have good links with the orthopaedic surgeons based in Edinburgh, therefore if anything regarding your procedure or your recovery is atypical. We are in a good position to liaise with your surgeon to discuss any concerns that you may have. If you have had knee surgery or indeed have any other musculoskeletal problem please contact us. Our physios have 15 years of clinical experience across many different clinical areas. We have flexible opening hours and can see you at a time of your choosing that is convenient for you. We can normally see you within a few day as we have no waiting list. We are registered with all the major insurers please contact them prior to making an appointment to ensure that you comply with their policies and procedures. Our clinic is in Eskbank just outside Edinburgh and we serve Edinburgh and the surrounding area including East and Midlothian. ← Is sitting too much bad for your health?